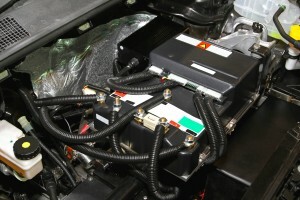 In our experience with these, many hybrid battery systems will last the majority of a vehicle’s life. This isn’t to say that battery failures never happen in hybrid cars but that you generally are not going to experience true battery failures until the car’s odometer is reading in the 150,000 mile + range. Should you be experiencing problems with your battery, you can count on us to get you a great replacement battery installed in your hybrid car or truck at a reasonable price. 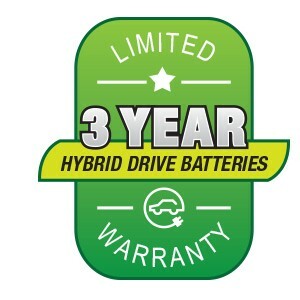 How do I tell if my Hybrid Vehicle battery is failed? Reduction in gas mileage – An unexplainable reduction in gas mileage is often a leading symptom in hybrid vehicle battery failure. Reduction in performance – What used to be a leap off the line is slowed to a hop. Swings in State-of-Charge(SOC) – Your state-of-charge of SOC is equivalent to a fuel gauge for your battery pack. Large swings in these numbers without large amounts of charging or usage is a good indicator that something is up with your battery. If your battery is found to be in need of replacement, our team of expert mechanics are well-trained to handle the job. Starting with only the highest quality battery packs available on the market, all of our battery packs come with a full 3-Year Warranty. These high quality packs are then installed by our ACDC-Certified Hybrid Technicians. If your hybrid vehicle is experiencing any of these symptoms or other electrical issues, don’t hesitate to call us or bring your hybrid in to our La Puente, CA auto repair shop. For your convenience, you can also click the button below to make an appointment.